2. Where do I find a copy of the will? 3. How do I know that the will is valid? 4. What happens if there is no will? 5. What happens if no executors are named in the will? 6. I am named as an executor but do not want to act as one - what should I do? 7. 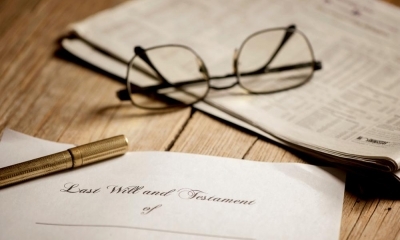 The will names several executors - who does what? 8. Why do people use a solicitor to help with probate and estate administration? 9. What does an executor need to do? 10. How can I be sure that I have identified all the estate's assets and all the debts that need to be paid? 11. Is it possible to deal with the estate without obtaining a grant of probate? 12. How do I apply for a grant of probate? 13. How is the estate valued? 14. When does inheritance tax need to be paid? 15. What happens with the debts owed by the deceased? 16. The estate doesn't have enough cash to deal with all the bills that need to be paid - what can I do? 18. What are the typical mistakes made by a novice handling probate? 19. As an executor (or administrator) what are the dangers of being sued? 20. What happens if a will is contested and who can contest a will? 21. How do I deal with the tax aspects of a deceased person's affairs? 22. I am an executor using a probate solicitor. How do I keep the fees down? 23. What happens if some beneficiaries named in the will have died? 24. How can I protect the deceased's assets until they have been sold or distributed? Probate is the process through which someone gets the court's permission to deal with a deceased person's estate - collecting up all the assets, paying off any debts and distributing the assets to the beneficiaries who are entitled to them. If there is a will, the executors (the people responsible for dealing with the estate) are usually named in it. They can apply to the probate registry for a 'grant of probate'. If no executors are named, or none of the executors is prepared to act, a beneficiary of the will can apply to the probate registry for a 'grant of letters of administration (with will annexed)'. If there is no will, a relative can apply for a 'grant of letters of administration'. Once the probate registry is satisfied with the application, the executors or administrators are asked to swear an oath confirming the information they have provided and their commitment to deal with the estate in a right and proper manner. The grant of probate (or letters of administration) can be shown to anyone who is asked to release any money or other assets belonging to the deceased's estate. If you don't already know where the will is kept, or aren't sure whether you have the latest one, you'll need to try to find the will. Check through any paperwork in the house: look in files, desk drawers and in the safe if there is one. You can also check with the deceased's bank in case they have the will in safe-keeping. Contact any solicitors that the deceased used and ask them if they have a copy of the will. If you don't know which solicitor they used, you can pay a fixed fee for a will search to be done. Alternatively, the will may have been deposited with the probate registry. You can ask for a search to be made by sending a letter together with an official copy of the death certificate. If you still can't find the will, it's worth asking anyone else who you think may have been asked to be an executor - typically family or close friends - in case they know where the will was kept. Bear in mind that a will is not a public document until probate has been granted. Until then, only the executors are entitled to see it. A solicitor or the probate registry will not provide the will to you if you are not named in it as an executor. If a will is invalid, then the will is set aside. The most recent previous will (if any exists) becomes the valid will. If there is no valid will, the estate is dealt with in the same way as if the deceased died 'intestate'. Similar rules apply to any 'codicils' - documents that change the terms of an original will. If a codicil is invalid, then the original will remains in force as it stands, as if the codicil did not exist. If you have any reason to believe that a will (or codicil) is invalid, you should take legal advice. Need help with your probate issue? As there is no will, there are no named executors. A relative can apply to administer the estate. The assets must be distributed according to the rules of intestacy. If no executors are named in the will (or none of the named executors are willing or able to act) then someone else will normally need to apply to the probate registry to administer the estate. If there is a will, a beneficiary under the will can apply to act as administrator. If there is no valid will, one or more relatives will normally be entitled to inherit and can apply to administer the estate. You can renounce your executorship - provided that you have not already started dealing with the estate. By doing this, you permanently give up your right to apply for a grant of probate. If there is more than one executor, a more flexible solution can be to apply to have 'power reserved'. This means that you leave the other executors to act but reserve the right to take out a grant of probate later if you choose: for example, if you later feel that the other executors are not acting as you would wish. Take advice from the probate registry or your solicitor on the best option and how to go about it. Up to four executors can jointly apply for the grant of probate. Executors who do not wish to act can renounce their executorship or reserve powers. One option is for the executors to act jointly, agreeing their decisions. This can be a rather cumbersome way to deal with the estate, particularly if executors are busy or live in different areas. More commonly, the executors will agree amongst themselves for one executor to take the lead. This may be the executor who has the most relevant expertise: for example, if one of the executors is a solicitor. Alternatively, the executors may decide to act together but appoint a solicitor to provide advice and deal with the paperwork on their behalf. Acting as an executor can be complex and time-consuming. It can also be stressful if you are coping with the death of someone close to you, or you find yourself in the middle of family disputes. Dealing with an estate can involve a lot of paperwork, particularly if the deceased had significant or complicated financial affairs. Normally you can track down someone's assets by checking through all their paperwork. Pay particular attention to their bank statements. Unexplained payments made by the deceased could indicate the purchase of assets, or a gift or loan that needs to be taken into account. Conversely, any unexplained income might indicate some kind of income-producing asset. You'll also need a thorough inventory of the contents of the deceased's home. It may be worth checking with close family or friends - particularly anyone the deceased was living with. For example, they might be aware if any valuables are hidden somewhere in the home or kept in a safe deposit box. Of course, if the deceased was deliberately hiding assets there may be little or no evidence to show the way. If you think this is the case, you may want to take legal advice on what you should do. In terms of debts that need to be paid, you should carefully check paperwork and may want to ask close family and friends. You can also advertise the death, both locally and in the London Gazette, asking anyone who thinks they may have a claim against the estate to contact you within two months. This helps protect you against any future claims. You may not need a grant of probate if the estate is of low value. You may find that banks and other organisations are prepared to release relatively small sums after seeing a copy of the death certificate. If not, you will need to obtain a grant of probate. Joint assets (such as joint bank accounts) generally pass automatically to the surviving owner. This can include a property provided it is owned as 'joint tenants' - but not property that is owned as 'tenants in common'. Again, a death certificate may be sufficient. We understand that losing a loved one is a heart-breaking time. Our considerate and helpful staff help families through this difficult process by asking the right questions without the use of complicated legal jargon. We then explain the process of probate so that you’re fully aware of what will happen, when it will happen and what is required of yourself during the process. We then pass you to a team member who is experienced in dealing with situations similar to your own. Our probate experts not only have all the right skills, they are also given the time to deal with your case carefully. You can apply yourself or using a probate practitioner: around 70% of applications are made using a solicitor, notary or barrister. You need to complete probate application form PA1. You also need to complete an inheritance tax form: form IHT205 if no tax is payable or forms IHT400 and IHT421 otherwise. You cannot apply for a grant of probate until you have valued the deceased's estate. Along with the forms, you must enclose an official copy of the death certificate, the original will (and any codicils) and the fees. You will need to swear an oath, either at a commissioner for oaths (eg a solicitor) or a probate registry, confirming that the information you have given is true and promising to administer the estate properly. You may be asked to attend an interview at the probate registry if they have any queries. Before applying, you should decide how many copies of the grant of probate you will want. Additional copies make it easier to deal with all the organisations who may ask to see official copies of the grant. There is a small fee for each additional copy. Assets are valued at their market value on the day the deceased died. Probate valuations can be much lower than insurance valuations for some assets, such as jewellery. Valuation of financial assets is usually fairly straightforward, though some financial institutions may charge a fee to provide a probate valuation. You should get a professional valuation of any house, land or other property. Again, there may be a charge but you may be able to negotiate to offset this against any fees if you will be using the valuer to sell the property. You may also need a professional valuation of other significant items such as cars, works of art or jewellery, unless there is an alternative way of assessing the value. For example, car values can be readily checked online. You don't need to get a professional valuation for ordinary items worth less than £500. More complex situations can arise: for example, if the deceased owned part of a property or business, or trusts are involved. You should take professional advice. In some cases, you may find that you have overvalued property or shares which you later sell. You may be able to claim relief for this overvaluation if you sell qualifying shares within 12 months or a property within 4 years. Inheritance tax is only payable if the value of the deceased's estate is greater than the inheritance tax threshold. Any inheritance tax becomes due at the end of the sixth month after the death. For example, if the death was in January the tax is payable by the end of July. You can opt to pay inheritance tax in instalments when the tax is due in relation to certain assets that may prove hard to sell: for example, a property or a controlling interest in a company. Instalments are due in ten equal yearly instalments starting from the end of the sixth month after the death. You also pay interest on the outstanding balance with each instalment. You can choose to pay off the full amount due at any time. You must immediately pay the full amount of tax due in relation to any asset if at any stage you sell that asset. As an executor, you are responsible for paying all the deceased's debts using the money from the estate. You will also normally need to pay the funeral expenses. You may want to advertise the death locally and in the London Gazette, asking anyone who thinks they may have a claim against the estate to contact you within two months. This helps protect you against any future claims from unknown creditors. It's important not to start distributing the assets of the estate to the beneficiaries before you are sure you can pay all debts in full. This is a common and potentially difficult problem. Usually you need to have obtained the grant of probate before you can access any of the deceased's financial assets. But some banks and building societies will release relatively small sums of money for specific purposes - for example, to pay for a funeral. A larger financial problem can occur with valuable estates where you may need to pay at least some of the inheritance tax before you can obtain grant of probate. If the deceased had National Savings, government 'gilts' or money in a bank (or building society) that takes part in the Direct Payment Scheme, you may be able to use these. If not, the executors will need to arrange a loan or pay the tax from their own resources, later reclaiming it from the estate. If you think there will be a cash shortfall you cannot cover, take advice as soon as possible. There can be an even bigger problem if the deceased owed more money than the value of their assets. If so, you need to be very careful in how you manage the estate. There are strict rules on the order in which creditors can to be paid. If you give any money or other assets to the wrong person, you might be held personally liable. Again, take advice. In a simple case, probate might only take a few months. Six to nine months is more typical, while particularly complicated estates or contested wills can drag on for years. Once the application has been submitted to the probate registry, you can normally expect to receive the grant of probate in about eight weeks - provided there are no problems with the application. Executors without prior experience typically underestimate the amount of time and work involved. Additionally, you may not realise that you need to keep clear records. These help the executors keep track of what they are doing. Beneficiaries, creditors or the court might also ask to see them. It is advisable to open a separate bank account for the estate. You can come under pressure to start distributing money to the beneficiaries early, particularly if there is cash available. This can cause significant problems if there is a need to make inheritance tax payments before other assets can be sold. It can be disastrous if the estate has debts that the executors did not know about. You can be too willing to take things on trust. For example, you might let a relative remove an asset which they claim belongs to them. Always ask for evidence to back up any such claim. It's also easy to misunderstand the meaning of the will, how the law applies and exactly what different beneficiaries are entitled to. For example, what happens if a named beneficiary has died or an asset mentioned in the will has been sold? If you're in any doubt at all, seek professional advice. Finally, if the estate is large enough to be liable to inheritance tax, dealing with it without professional advice is generally a mistake. You might face claims from unknown creditors if you do not ensure that the death is advertised. You could also face a claim from someone disputing the will if you distribute assets that they later establish the right to. Individuals have six months from the date of probate to make a claim. Finally, you could be sued if you act fraudulently or try to promote your own interests as a beneficiary of the will. Claims by relatives and dependents must be made within six months of the grant of probate. As an executor, you may want to wait until this deadline has passed before distributing assets. Otherwise, if a claim was successful, you might need to try to reclaim assets that you have already paid out. As far as claims by beneficiaries are concerned, you can help minimise the risk by making sure that you deal with the estate quickly and efficiently. It's a good idea to keep beneficiaries updated on your progress, explaining the reasons for any delays. If there is a dispute, you will need to consider how best to deal with the estate. It may be unwise to distribute any assets until the dispute has been resolved, even if you have to manage the assets for longer than expected. Going to court can be expensive and time-consuming, so if a will is contested you should try to negotiate agreement if possible. Always take professional advice immediately. HM Revenue & Customs (HMRC) and the Department for Work and Pensions (DWP) should contact you about the deceased's tax, benefits and entitlements if you use the Government's Tell Us Once service. Otherwise, you will need to contact the organisations directly. HMRC will let you know what tax they need to collect or repay. Contact the National Insurance (NI) Contributions Office to cancel the deceased's NI payments if they were self-employed or paying voluntary NI; the Child Benefit Office if a child or the parent dies; and the Tax Credit Office if your partner or a child you are responsible for dies. Contact the DWP's Bereavement Service (Tel 0345 606 0265) to cancel the deceased person's benefits and entitlements, eg State Pension. They can also check if you are eligible for help with funeral costs or other benefits. You can use HMRC's bereavement tool to work out which forms to fill in and where to send them. Larger estates, with a value over £325,000, may also be liable to inheritance tax. Regardless of the size of the estate, inheritance tax forms must be completed as part of the application for a grant of probate: form IHT205 if no tax is payable, or forms IHT400 and IHT421 otherwise. Professional advice can help you deal with the deceased's tax affairs, particularly if they were self-employed or the estate is liable to inheritance tax. First, you need to decide how you want to use the solicitor. For example, you can ask a solicitor to act as an executor but in a supervisory role, leaving you to do the majority of the legwork yourself. Conversely, you may have decided to apply for grant of probate yourself but want the solicitor to handle the administration. In some cases, you may also want the solicitor to act as a trustee (for example, if underage children will be beneficiaries). The more you ask the solicitor to do, the higher the fees will be. Against that you need to consider how much responsibility - and potentially personal liability - you are prepared to take on yourself. Second, make sure you understand what fees will be charged and how they will be worked out. Solicitors may charge a fixed percentage of the value of the estate, offer on an hourly rate - or use a combination of the two. Overall costs typically work out at somewhere between 1% and 3% of the value of the estate, depending on how large and complex it is. Charges will be proportionately higher for small estates. Costs can escalate rapidly if a will is disputed. Use your solicitors efficiently. 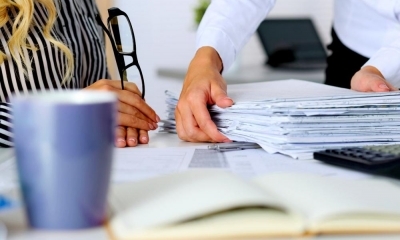 If you can pull together paperwork in an organised way, the solicitors will not have to spend time sorting through it. Likewise, discussing progress at regular meetings is more efficient than phoning up every time you have a question. You can keep costs down by visiting the solicitor rather than having them come to you. Remember that you might be able to reduce other costs of administering the estate, too. For example, you may be able to negotiate free or discounted valuations for property and other assets, or reduced commissions if you are selling them. It depends whether the beneficiary who has died was a child of the person whose will it is, and how the will is worded. If a potential beneficiary who has died was a child of the deceased, then their entitlement normally passes to their own living children (ie the grandchildren of the deceased), if there are any. The same applies if the beneficiary was a grandchild (or great-grandchild, etc). If the potential beneficiary was not a child of the deceased, or had no surviving children when the deceased died, then they normally lose their entitlement to inherit. Any gifts which would have been made to them remain part of the estate. They are dealt with in the same way as other assets. If the will makes a gift to a class of beneficiaries (eg 'my nephews') then that will normally mean those who are alive at the time of the death. If there are no surviving members of the class, then that gift normally lapses. Alternatively, the will may specify what should be done if a particular beneficiary has died: for example, saying that a friend's children should share a gift if that friend has died. A professionally prepared will should make it clear exactly what the deceased intended and how assets should be distributed if a beneficiary has died. If there is any doubt, take advice. Proper administration will include ensuring assets are properly protected. Ensure significant assets are insured - particularly as existing insurance may lapse when the deceased dies. Contact existing insurers to confirm what the position is and arrange any additional insurance. If the home is now unoccupied, make sure it is properly secured. You may also want to remove any particularly valuable items so they can be kept safely elsewhere. You may need to arrange appropriate services to maintain assets: for example, employing a gardener so that a property is in good condition to be sold. Be aware of the risk of identity fraud. You may want to consider taking out protective registration in the name of the deceased. You can find more advice on identity fraud on the CIFAS website.